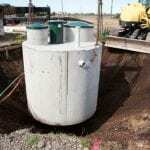 Home > Septic Services Blog > Septic Maintenance: What Can I Do? 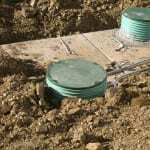 Septic Maintenance: What Can I Do? There are many things that are on our busy to-do lists. We have kids to take to school, doctor’s appointments, work meetings, car registration, and the neighbor just asked you to pick up their mail while they’re out of town! While not every one of these items applies to you, at Clark Septic we know that every one of you has a long list of things you need to do. We know that calling us for an unscheduled visit is probably not how you’d like to spend your precious free time, so we have come up with a few helpful septic maintenance tips that will keep your system healthy. First, watch what you put down your drains! We cannot stress this enough. Septic systems and bleach do not get along, so you might need to alter some of your cleaning products in favor of happy septic tank bacteria. Additionally, scrape your dirty dishes over a garbage can to minimize your disposal use. Solids from the disposal can increase your tank pumping frequency. Second, know where everything is. Know where your tank and drain field are located and how to take care of these areas. That means no parking cars, installing sheds, or planting trees over your drain field. Instruct your children to stay away from the septic tank opening and to never, ever enter a tank. Lastly, don’t neglect regular maintenance. We know that you’re busy, but we also know it’s easier to have us come for a little routine septic maintenance call than it is to call us with an emergency flooding issue. These and other items are all things you can do in terms of septic maintenance. Contact us today for more helpful tips!